The beginning of Shigaraki is told that ware is that Emperor Shomu in Tenpyo era, a.c.710 – 794 in Japan, had directed to bake roofing tiles when building a capital of Shigaraki and it’s been counted in one of Japan six old kilns. There is high-quality clay around the land of the mountains in Shigaraki area and the clay is enough sticky to make a large product, also suitable for easy accessory making and crafted. Shigaraki ware is often made characteristic by two features: the colour development of warm fire (scarlet) colour obtained by the firing of Noborigama (ascending kiln) or Anagama (hole-type kiln), and the taste of burnt by Vidro (glass) glaze and natural glaze. Those are inheriting the flavour of “wabi-sabi” as the art of soil and fire weaves up until now. Furthermore, in recent days, Shigaraki is also popular in figurines such as “raccoon” and imaged as calm products including tea utensils and/or tableware for daily use. According to the craft institute of technology, Shigaraki ware has been established in mid Kamakura era, which in 13th century in Japan. 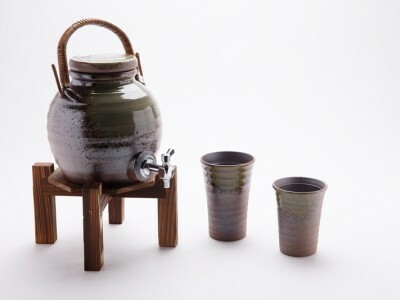 There is a wide range of products from heavyweights such as flowerpots up to the small: Aquarius, Tanetsubo (jar burnt without glaze), tea pot, sake bottle, brazier. 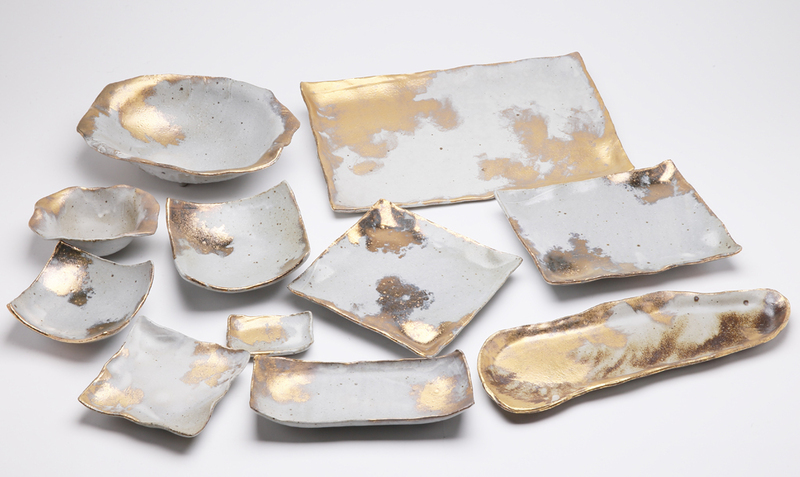 These still express the tastes of “wabi-sabi” reflected by the unique and deep features of Shingaraki ware until now. When looking at from the aspect of Japanese history, Shigaraki is located in the center of the Kinki region where has flourished as a center of Japanese culture under the influence of Korean one. Shigaraki area was ideal to develop a capital for the Emperor at the time, because the main road went through Shigaraki town and there was much soil suitable for the potteries. There is a variety of Shigaraki product but every single product is made by the traditional skill of craftsmen and their mind to pursue the possibility of pottery with unremitting efforts. 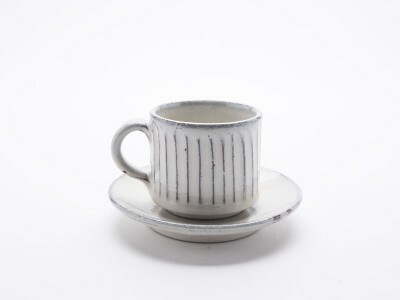 Shigaraki ware uses clay called kaolin as a main raw material. The texture maximizing its characteristicis comes up with an exquisite balance of clay and fire weave. 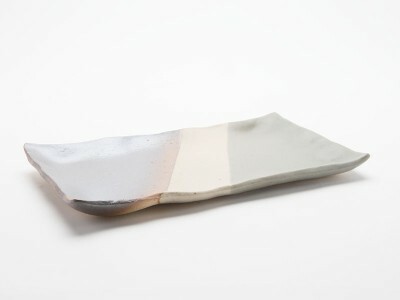 We hope you enjoy the deep and unique flavour of Shigaraki ware. ・Please beware of roughness like on the surface and an inner surface when you use. 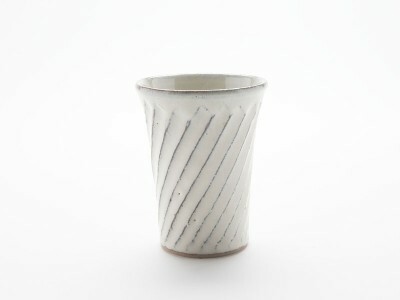 ・Since Shigaraki clay have a water-absorbing property because of its feature of rough soil, please note that sometimes water percolates through the bottom when you leave liquid on Shigaraki ware for a long time. ・Please make enough attention to installation and handling when you use heavier products. In addition, although we have a bottom processing, just in case, depending on the installation location, please use the rug and protection material or the like.